_ Sound Quartet is expanding the field of chamber music with electroacoustic research, composition and performance. The ensemble is project oriented with each concert as an opportunity to explore possibilities beyond the already confirmed. Sound Quartet is everchanging but still with both new and old faces in a joint search for an exquisite musical flow within mesmerizing soundworlds. The ensemble was established in the nineties out of experimental research at Elektronmusikstudion (EMS) Sweden and Musiqes Inventive d'Annecy France. Since 2007 Stockholm Sweden is the home for Sound Quartet with Thomas Bjelkeborn as main initiator and artistic organizer. Sound Quartet international tours 2014, 2015 and 2016 was subsidized by Swedish Arts Council. _ Musicians involved in 2018/2019 concert productions:  Emilie Girard-Charest (C) cello, Emma Lloyd (UK) violin, Koray Tahiroglu (FI) laptop/electronics and from Sweden Thomas Bjelkeborn laptop/electronics, Eva Lindal violin, Ida Lundén keyboard/gadgets, Paul Pignon woodwinds/flutes/didgeridoo and Viktor Zeidner vinylplayers. International musicians Nadia Ratsimandrecy (fr), Blanca Regina (es), Viv Corringham (us), Philippe Moenne-Loccoz (fr), Joachim Spieth (es), Jukka Kääriäinen (fi), Matt Scott (uk), Andrew Woodhead (uk), Jess Aslan (uk), Edith Alonso (es), Julian Bonequi (mx) and Anthony Maubert (fr). And from Sweden Catharina Backman, Erik Carlsson, Nina de Heney, Alexandra Nilsson, Johan Sundberg and Olle Åberg. The following have appeared as visual artists: Raquel Meyers (es), Blanca Regina (es), Viktor Zeidner and Michael Larsson. Projects with dancer/choreografer Liisa Pentii (fi). 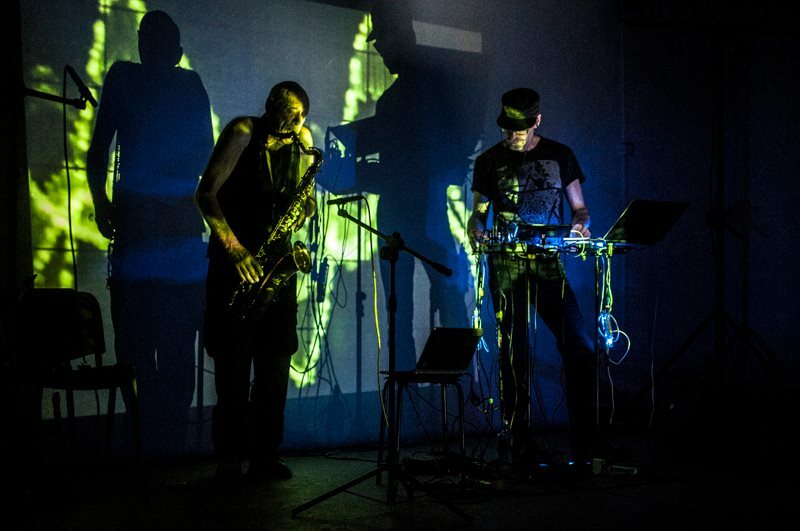 Picture of SQ at Audio Art Festival 2014. In the past Sound Quartet sometimes toured as a trio with a duo setting on stage extended with visuals.